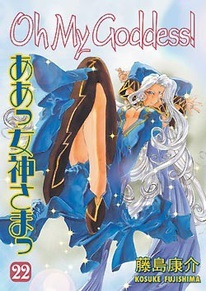 Ever since a cosmic phone call brought Belldandy, Urd, and Skuld - a trio of literal young goddesses - to live in college student Keiichi's residence, his personal life has been turned upside-down, sideways, and sometimes even into strange dimensions! After her demonic mother Hild lays down the condition for changing Peorth back to normal, Urd tells Mom that she can go back to Hell, but Urd sure isn't coming along. Hild's counter-offer promises to combine the magic-circle powers of herself, Belldandy, Skuld, and Urd to restore Peorth, in exchange for a promise from Urd to... Well, she'll tell Urd after the ritual!